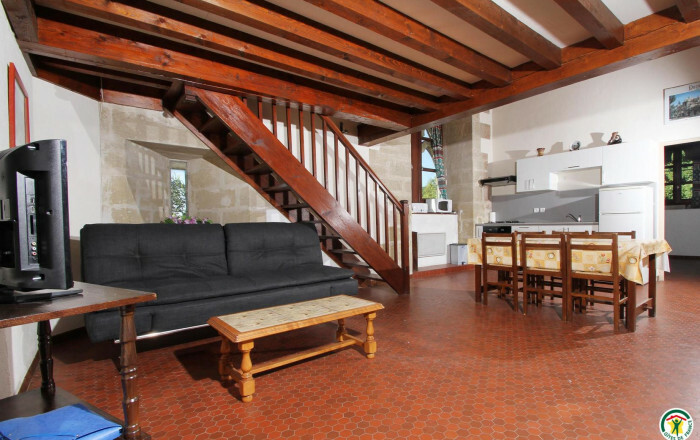 6 gîtes in traditional building (remains of former château) with views of the Vercors & Alps. No smoking gîte. Bed & kitchen linen, towels NOT provided. 1st floor: kitchen area/living room (sofa bed), bedroom (double bed) + attic mezzanine (3 single beds), shower room. Small shared garden. Séjour au top même si nous avons eu du vent. Ballade en plein air, paysage magnifique, citoyens sympathiques. Accueil au top et super chaleureux ! Nous y retournerons c'est sûr !